Saturn fans who have asked Saturn to build cars with V8 power will get their wishes granted in the 2008 model year in the form of a all-new crossover sport wagon. 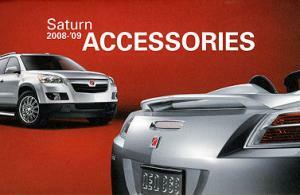 Automotive News reports that Saturn will offer a sport wagon in 2008 with an optional V8 engine. The unnamed vehicle will debut in 2007 powered by a V6 with both FWD and AWD models, based on GM's upcoming Lambda architecture. There are currently 11 users and 518 guests online.